Muscat: Businessmen from Oman and India held a meeting at Oman Chamber of Commerce and Industry (OCCI) on Tuesday. 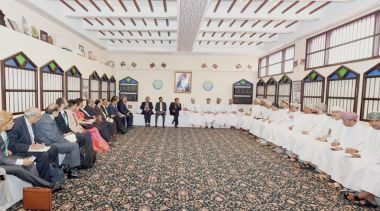 The meeting was attended by Dr Ali bin Masoud al Sunaidy, Minister of Commerce and Industry, and Chairman of the Omani side at the Omani-Indian Joint Committee, and Suresh Prabhu, Indian Minister of Commerce, Industry and Civil Aviation, and Chairman of the Indian side at the Committee, who is currently visiting the Sultanate accompanied by a number of Indian officials. Dr Salim al Junaibi, Deputy Chairman of OCCI for Economic Affairs and Branches, said in a statement to Oman News Agency (ONA) that this important meeting discussed means of enhancing cooperation relations in economic, commercial and investments fields. It also discussed a number of investment opportunities and the possibility for establishing business partnerships among Omani and Indian businessmen in food, petrochemical and steel fields. The Indian Embassy in the Sultanate also organised a meeting that gathered the Indian Minister of Commerce, Industry and Civil Aviation and the accompanying delegation with Indian traders and Omani businessmen. The meeting discussed means of enhancing economic, commercial and tourism cooperation between the two friendly countries. The business leaders from India and Oman discussed means of enhancing relations of cooperation on various economic and investment fields. They also discussed means of setting up joint ventures in the fields of foodstuff, logistics and plastic projects during which a number of presentations about the industrial estates in the Sultanate were presented. Jamal bin Tawfiq Aziz, Deputy CEO of Sohar Industrial Port Company (SIPC), gave a briefing on Sohar Port. He highlighted the role of the port in implementing several projects in petrochemical, aluminium, logistics and foodstuff. 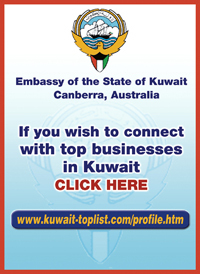 He pointed out that the Indian investments are considered one of the first investments in Suhar. Presentations were also given on the Special Economic Zone in Duqm (SEZD), Salalah Port and its investment opportunities.